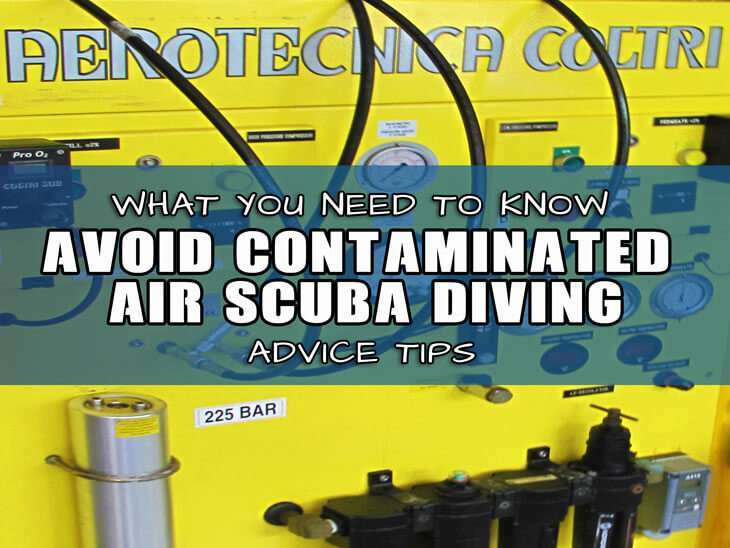 Whether you are SCUBA diving for fun or you’re a professional dive master or scuba instructor you want to avoid Contaminated Air Scuba Diving! The last thing you want to worry about is your compressed air quality. Pattaya Dive Center understand this concern and need and take it very seriously. 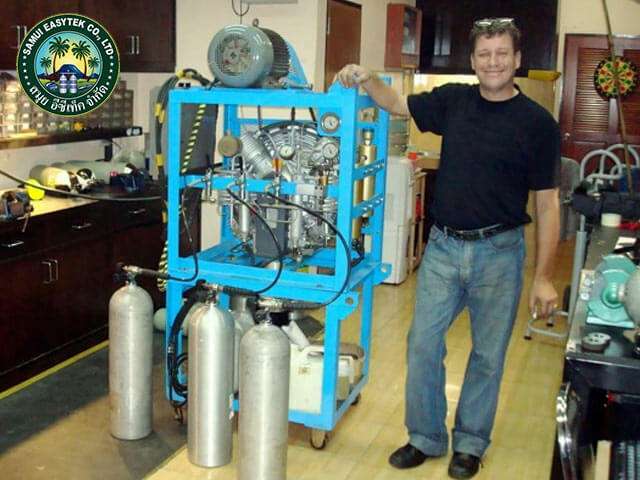 All of our air banks and compressor facilities are compressed air filling undergo testing for SCUBA Grade E safe air use, As a PADI 5 star Dive Center would you not expect us to have a safe air analysis certificate!? So many aspects of the scuba diving industry are monitored and evaluated for standards and safe practices. Major Diving organizations such as PADI and SSI, teach and recommend safe air compliance but across the world this is not something that is currently governed and regulated tightly. Some people report to began to feel a bit odd underwater. Heart rate and breathing rate quicken, you taste a strange flavor in my mouth, your head hurts and you may felt nauseated. Recognizing that these signs could possibly point to you using contaminated air. Contaminated Air Scuba Diving is extremely rare. Even divers who have been scuba diving for many years may never receive a contaminated scuba tank because cylinder fill stations generally follow very strict regulations to ensure that the compressed breathing air a diver receives is clean and dry. However, problem may occur. Filters may break, trace amounts of lubricant can be pumped into tanks, or contaminants such as car or boat exhausts can enter the compressor through the uptake vent. Choosing a good dive center who maintains their compressor well and even obtains safe air certificates makes the chances of these things happening extremely, extremely rare, but I always say, be prepared for any eventuality.. Divers who know how to recognize that a tank is filled with contaminated air may avoid unconsciousness and possibility even death. Choose a good Dive Center that has great quality Air filling stations, takes their maintained seriously and perhaps even has a Safe air certificate. One trick I have used is to play stupid and ask the dive center technician to explain the compressor to me. This helps to learn how the compressor works, maybe even seek a peak at the condition of the facility and allows a diver to confirm that maintenance is up to date. Smell and taste the air in the scuba tank before ever breathing from it underwater Smelling the air is particularly effective because a diver’s sense of smell is more sensitive to contaminants than his sense of taste. Report any unusual odors or flavors to your dive guide, especially odors reminiscent of smoke, burning plastic, and exhaust. When in doubt, do not dive with the tank. Be aware, the most common contaminants found in compressed breathing air are carbon monoxide and carbon dioxide. These are both odorless, tasteless gases. Normally, these gases are present in a tank because exhaust or another pollutant has been compressed along with the air, and a diver can recognize that the air is polluted by its unusual smell. However, it is conceivable that that these gases could be present without exhaust and other contaminants. In this highly unlikely scenario, which is exactly why safe air testing is recommended, a diver must understand how to recognize the signs and symptoms of contaminated air since he won’t be able to recognize the contamination by the smell. Many of these signs and symptoms are similar to those of oxygen toxicity and narcosis. Thankfully, the solution is the same – end the dive as quickly as is safe. While the chance that the average recreational diver will ever receive bad air is rare, it does happen. Always check you chose a good dive center with well maintained compressor and well trained staff that follow best practice air filling procedures before a diving with them. As PADI Open water diver students we are taught to smell our air supply and even taste it to ensure we are using safe clean air. unfortunately, as we have already mentioned, it’s not always an infallible way of testing your air supply is clean. Having a Safe Air analysis certificate, within a test date, at least gives you some clarification that the quality of your air supply is taken serious enough to be monitored and pro activity tested to avoid contamination. Here in Thailand there are a few officially certified air analyzing technicians. Scuba Engineers like Steve, at Samui Easytek Co., LTD is one of them. Steve checks and analyses the air that our compressors provide, is clean and safe to scuba dive with, giving our divers and professional dive staff peace of mind breathing underwater.